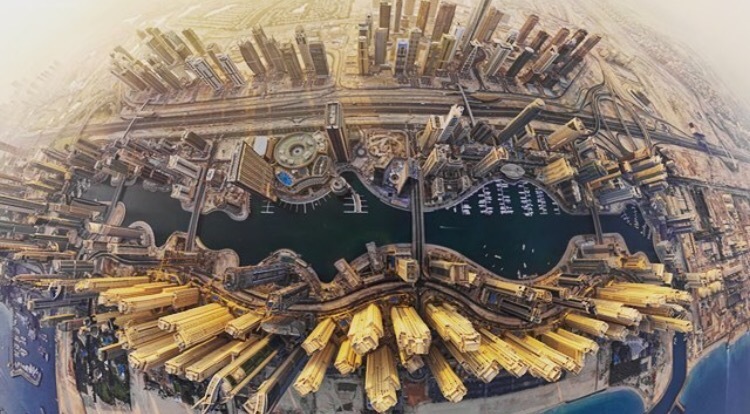 Dubai is one of those places that I think needs to be seen to be believed. The amount of money that has been spent to build a city in the desert is incredible and I’d love to go and visit to see what it’s actually like. There are many pictures of Dubai that appear on my Facebook page. It seems to be a popular choice amongst the British if they decide to move abroad. With the allure of no tax I can’t say it hasn’t crossed my mind! What I see from the pictures are lots of sun kissed, slightly burned English people enjoying the various cocktails and parties that always seem to be happening. It does make one feel a bit envious when sitting in the gloom of winter where the most exciting party is staying in on a Saturday night watching Strictly Come Dancing! There is something alluring about a money rich city. 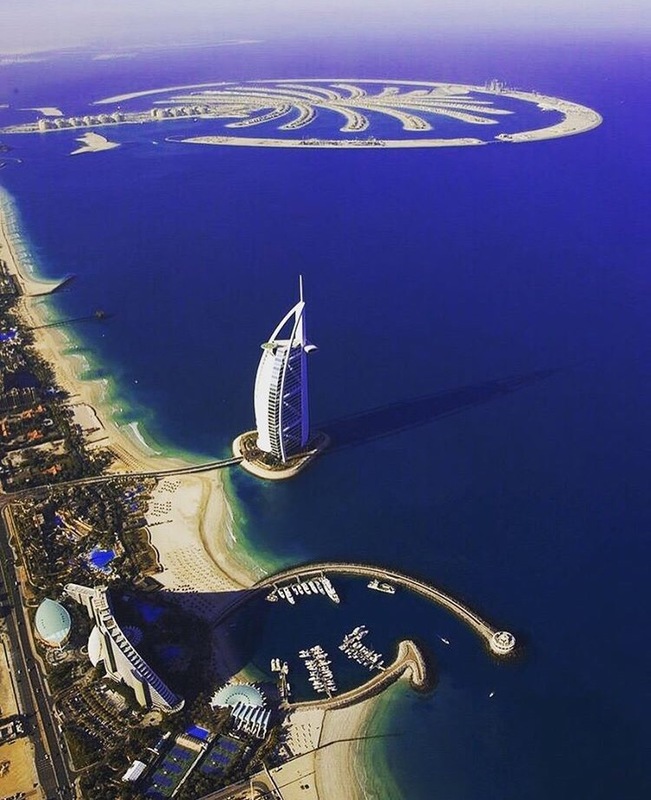 Take the Burj Al Arab, the world’s only 7 star hotel. 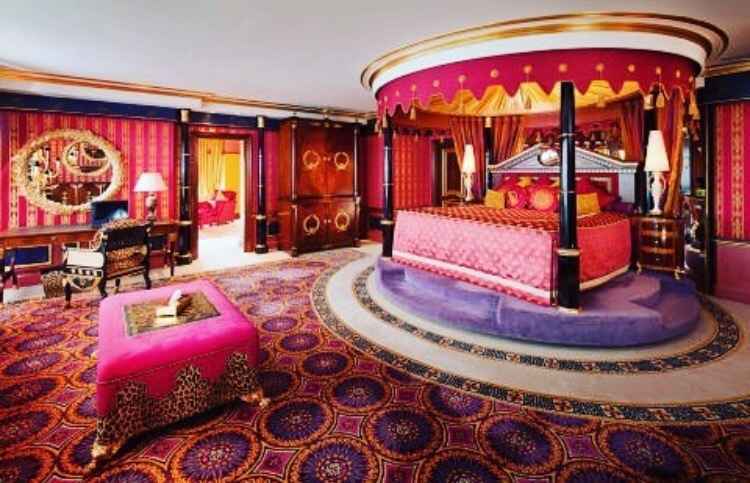 I know I’ll probably never be able to afford to stay there, but the fact that there are people out there who can makes it all the more appealing – who wouldn’t want to stay in a suite that looks like this?!? And Dubai likes to be the best in the world which they also show with the world’s tallest building – the Burj Khalifa. At over 150 storeys tall you would get vertigo looking up as much as you would looking down. There’s also the incredible formation of the Palm where I’m sure you could have a celebrity as your neighbour! Without a doubt Dubai is a city that really intrigues me and hopefully one day I’ll get to enjoy the city in the desert.